Home Random Stuff Blog Watch: See The CW’s upcoming new superhero spinoff DC’s Legends of Tomorrow! Watch: See The CW’s upcoming new superhero spinoff DC’s Legends of Tomorrow! Heads up, fans of Arrow and The Flash – A new spin-off show set in the same universe is coming next year… And it features characters from both programs and then some, as The CW officially reveals their newest superhero program for next year in “DC’s Legends of Tomorrow“! Featuring Arrow/ Flash actors Brandon Routh, Caity Lotz, Victor Garber, Wentworth Miller, and Dominic Purcell returning as The Atom, White Canary, Dr. Martin Stein, Captain Cold, and Heatwave respectively, Legends of Tomorrow will also feature newcomers in Ciara Renee as Hawkgirl, Franz Drameh as Jay Jackson, and Doctor Who actor Arthur Davill as time-travelling adventurer Rip Hunter, who gathers these individuals together to take on an immortal known as Vandal Savage, who is bent on destroying the planet and all of time for his own means. Also released was a featurette showing how scenes of the new series were filmed for the trailer and the upcoming pilot for next year. So with surprises like the return of Sara Lance, and Ray Palmer as the Atom finally shrinking and living to his name, and of course the guest appearances of Stephen Amell and Grant Gustin as Arrow and The Flash respectively, this show is looking to be an EPIC team-up spinoff like no other! 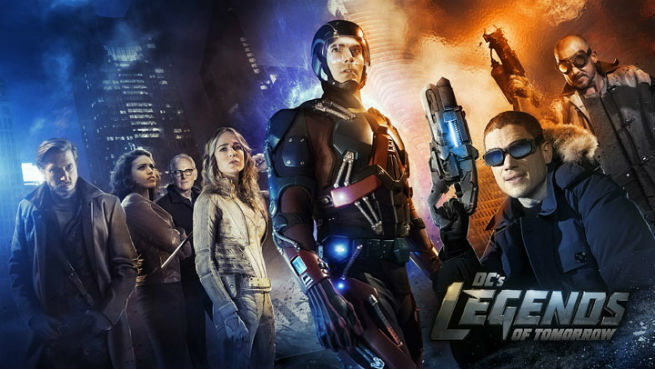 DC’s Legends of Tomorrow will air during the midseason of The CW’s 2015-2016 program schedule! Next articleHappy 10 Years, Star Wars Episode III: Revenge of the Sith!